With more than ten years on from when the term “coworking” was first identified as a trend by Google’s search database, the UK Flexible Workspace market saw its greatest growth in the last two years with the UK’s regional cities being no exception. 2018 was a year of continued growth, which also saw the opening of the first two WeWork centres outside of London, in Manchester. What is WeWork’s market entry strategy and its impact on the rest of the market? The Cushman & Wakefield Coworking Report 2018 states that around two thirds of UK Flexible Workspace is located outside of the capital. Comparing the amount of Flexible Workspace as a percent of total stock across major central business districts (CBDs), Bristol and Leeds (4.35%) are slightly more mature than London (3.9%), Birmingham, Manchester and Newcastle. Cardiff and Edinburgh are the least saturated and most immature of the regional cities, at less than 2%. Key differences between the flexible workspace market in regional cities and London consist in centre size and the product and proposition. Centre size: Regional centres are generally smaller with average sizes varying from 750 sqm in Edinburgh to 2,200 sqm in Manchester. This is compared to an average centre size in London of over 3,700 sqm in 2017. Whilst this difference is somewhat dependent on availability and supply within each market, some operators, such as WeWork, are now deliberately leveraging size to drive economies of scale in their operating model. Product and proposition: The pace of growth of this sector in London has resulted in a significant diversification of the traditional serviced office model with a growth in coworking or ‘hybrid’ operators (a mix of coworking, serviced offices and meeting rooms) alongside more targeted propositions catering to specific budgets, business sectors and demographics. Looking more broadly at the global strategy of WeWork when it enters a new market, be that regional or national, the growth trajectory in the first 12-24 months is steep. Looking at a selection of global cities, the average number of WeWork centres that open or are in the pipeline after the launch of their first building is 4.5 within 12 months. Just 26 months after entering the Chinese market with their first location in Shanghai, there are 18 centres planned or already open with similar stories evident in six other Chinese cities. In London, 4 years after opening their first centre in October 2014 in Southbank, there are now 39 locations committed averaging just under 10 centres per year. WeWork’s Manchester expansion is right on track so far, with two centres open and rumours of negotiations being in hand for further take up. As the market evolves, the increase in size and number of centres will change the market dynamic and will seed some new and innovative solutions, as the model becomes more broadly established. 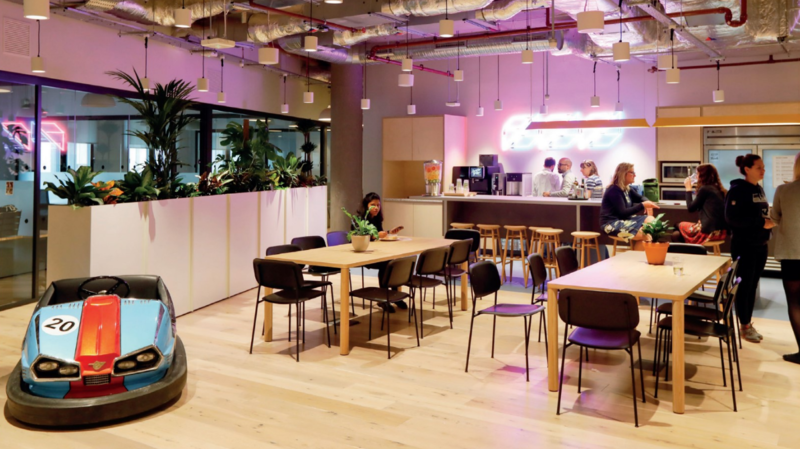 In London, the wider market growth driven by WeWork’s rapid expansion in the market has forced many existing operators to re-examine their offer, as customers ultimately have the ability to leverage the flexible nature of their agreements to try out new and exciting options. The UK has a diverse mix of regional markets which can all attract major players to act as a catalyst for wider change. With flexible workspace already booming in the UK, the question to be asked is where next?